Chocolates are loved by almost everyone irrespective of their age! When something is catering to such wide range of age group, the packaging becomes important. 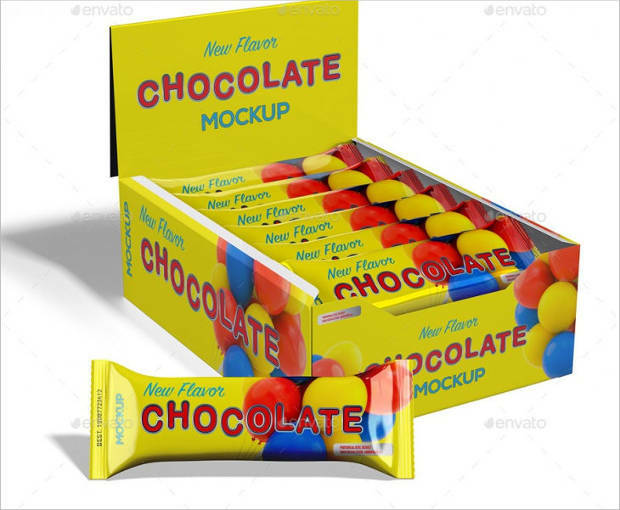 With Chocolate Packaging Mockups you can present the final designs in such way that your clients can visualize the final products in front of them. Change the designs as per the wish of your clients. 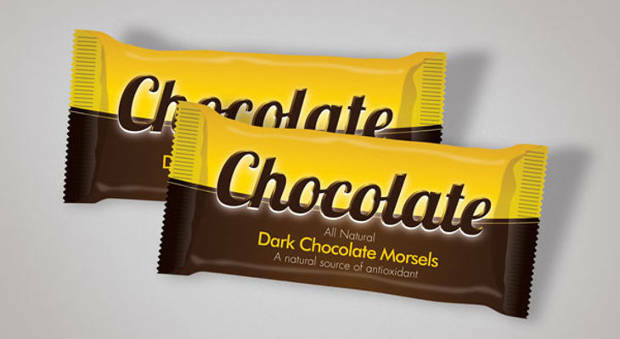 Here are few Chocolate packaging mockups that are designed for graphic designers to make their artwork look lucrative. 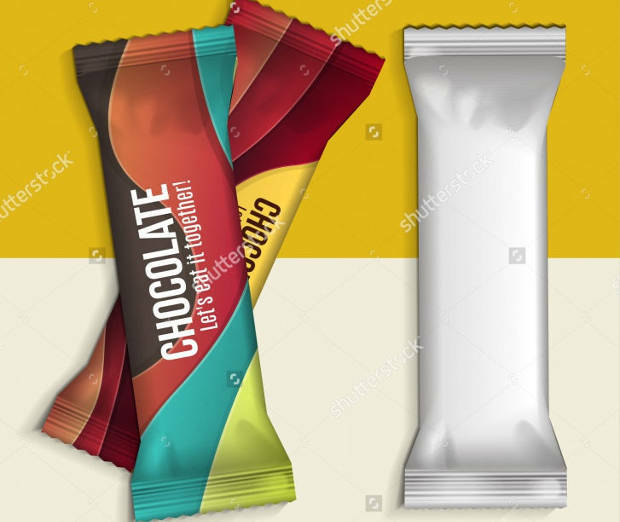 Use these Chocolate or Protein bar package Mockup for designing photorealistic chocolate packets. Just add new design to the packet bar and see all other packet bars be updated, thanks to smart object. You can convert these vector graphics to pixel graphics, thus have the choice of designing the way you feel comfortable. The layers and folders are organized for making the work simpler. 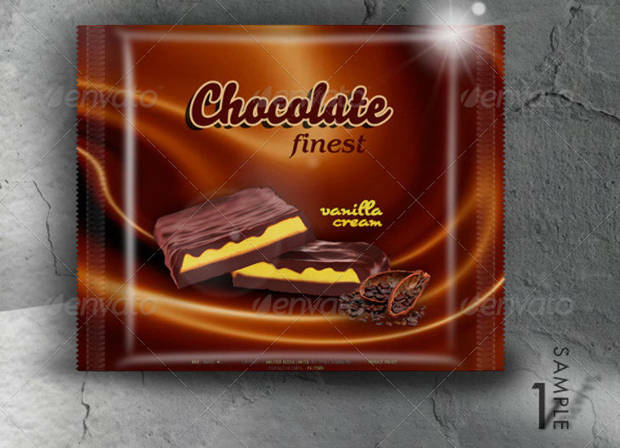 The above chocolate packaging Mock up is available in PSD format. Change the design with the multilayered smart object files and add your own artwork. You can also get this mock up in vector format. 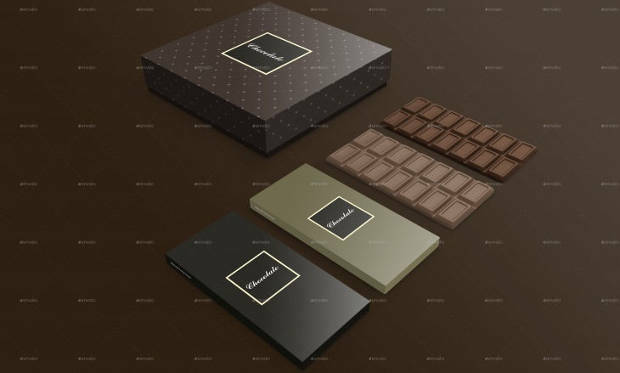 By using these Chocolate packaging mock up you can easily make your own design of chocolate boxes. 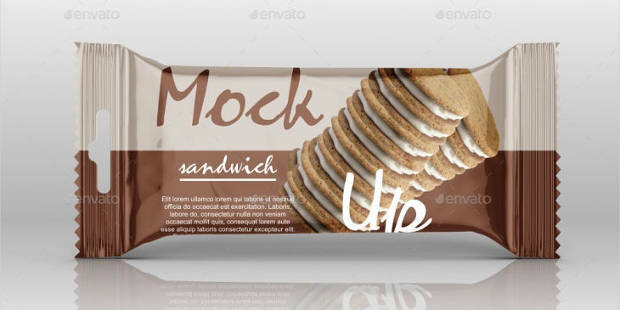 Add your design to the base of the PSD file mock up and get your own design. They are available in different angles and with light variation to give you the best. The PDF file will help you if you feel anything odd while working on them. 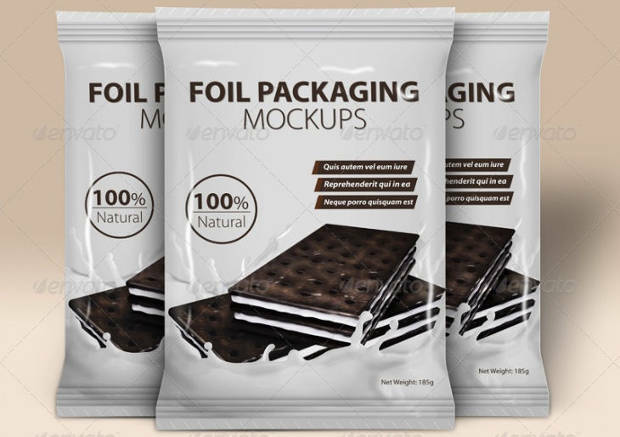 With the help of well-organized layers of this PSD file you can design your very own free chocolate mock-up for your clients. There are three backgrounds that gives you opportunity to create variety of packages. 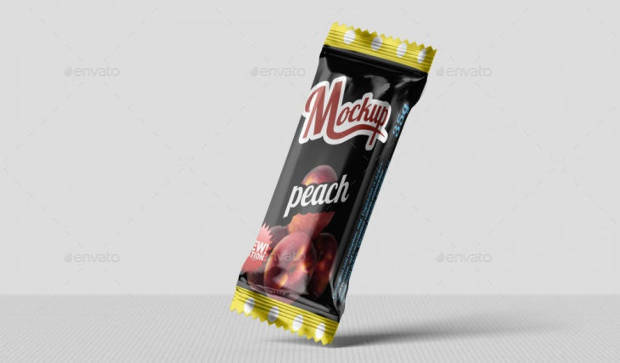 This photorealistic mockup comes with RGB colors to enhance its beauty. 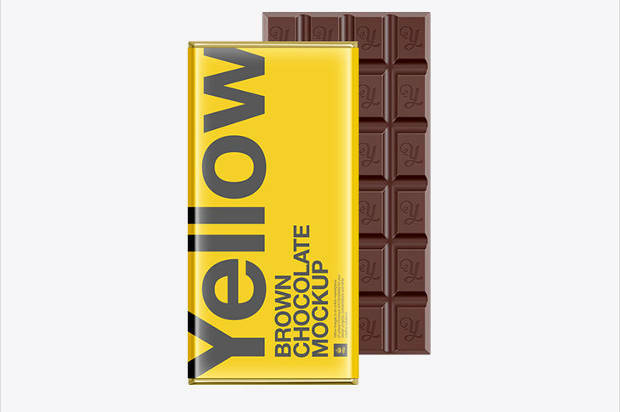 This Candy Chocolate Bar Mockup is just perfect for showcasing your products or advertising them. These templates files are in PSD format and are layered. They are of high resolution with 300 Dpi and smart objects make them easy to use. There are 5 fully organized layers in this PSD file. 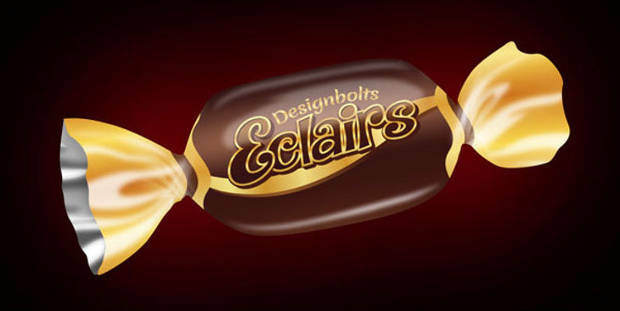 With the help of smart object insertion you can design your own Toffee or candy wrappers. Add artwork easily to the PSD file and make things simpler. However, while you use the PSD file unhide the layers that are hidden to decrease the size of the file. 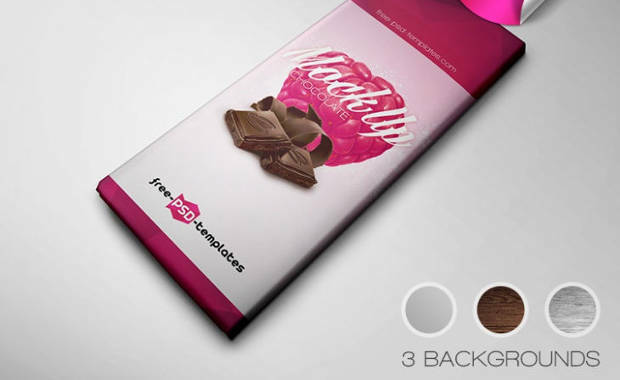 Make professional designs of candy wrappers with this mock up. 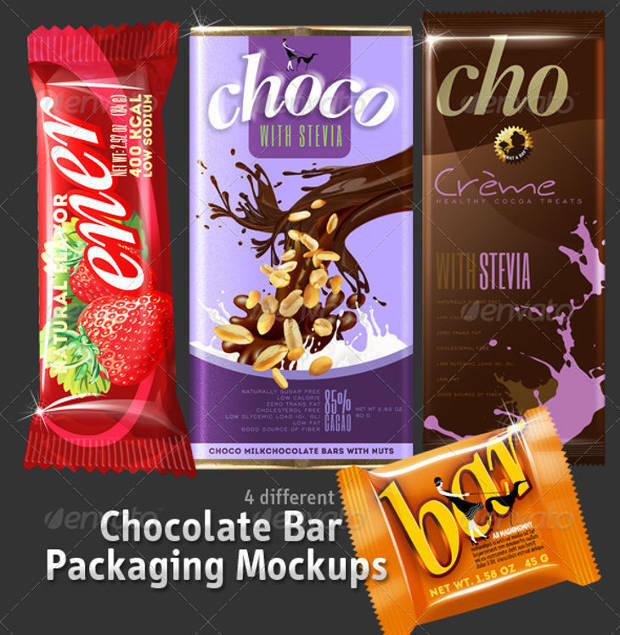 These Chocolates packaging mock up allows you to edit the packets or add your own artwork to make chocolate cover graphics. The smart object takes care of shadow and light itself. All you have to do is just design the artwork and paste it in the PSD file. 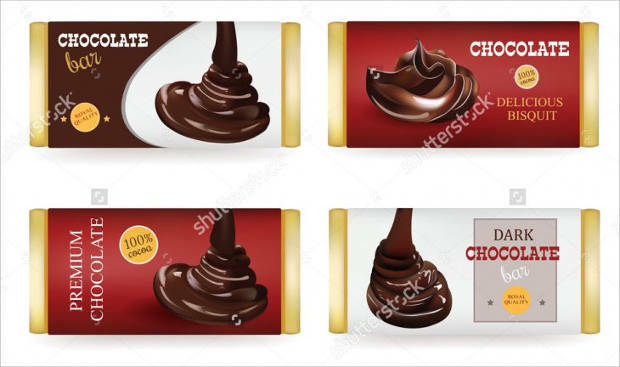 This Chocolate bar packaging mock up gives you the opportunity to design four different types of packages for your chocolate bars. You can edit the shadows and the highlights for customizing the final output. There are 8 PSD files that have 4 merged highlights and 4 editable highlights. 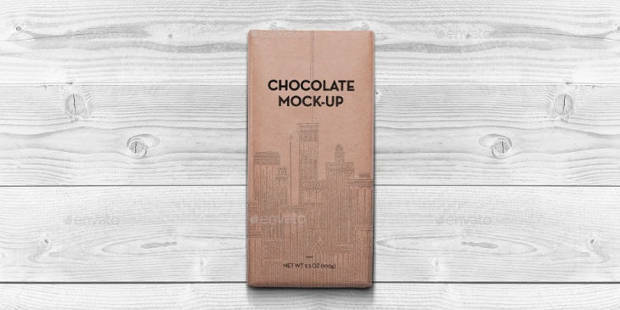 Display your designing in a better and realistic way with this chocolate package box mockups. There are smart object layers for designing the box. The images in this PSD file are in .png format. The final result gives a photorealistic effect. 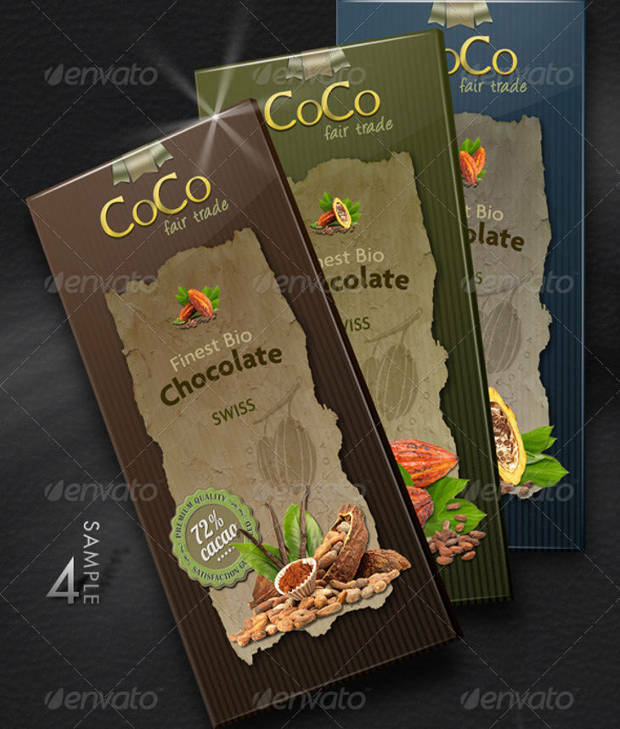 Another PSD files that help you design chocolate bar packaging mockup for designing chocolate covers. Change the colors with the help of smart object layers or adjust the shadows. Be creative with these PSD files. 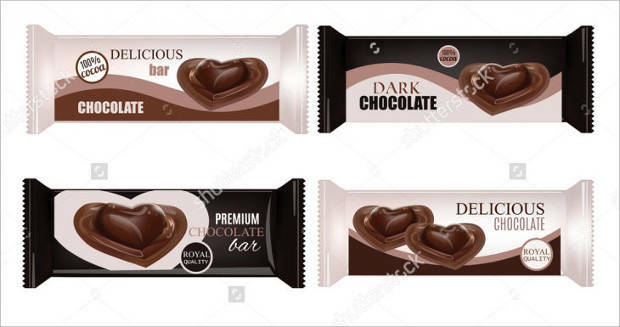 The special layer allows you to edit the embossed effect on the chocolate bar.